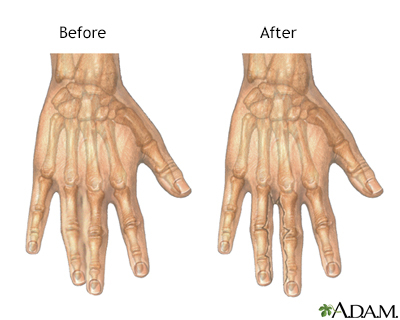 The results of webbed finger repair are dependent on the degree of fusion of the fingers. When joined fingers share a single fingernail, the creation of two nails that each look normal is rarely possible. One nail will look more normal than the other. Some children require a second surgery, depending on the complexity of the syndactyly.